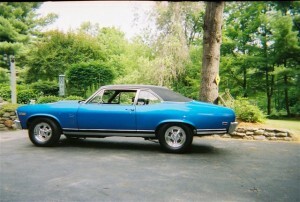 It was late January of 1969 when Ken ordered his 1969 Nova L78. 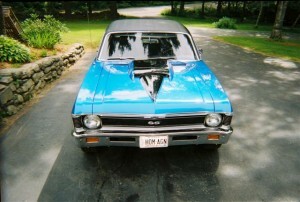 The 396/375 horsepower car was delivered new to Cantin Chevrolet in Sanford, ME and the Nova quickly became Ken’s pride and joy. Unfortunately, like many young men growing up at the time, the muscle car was sold to offset the cost of building a new home. 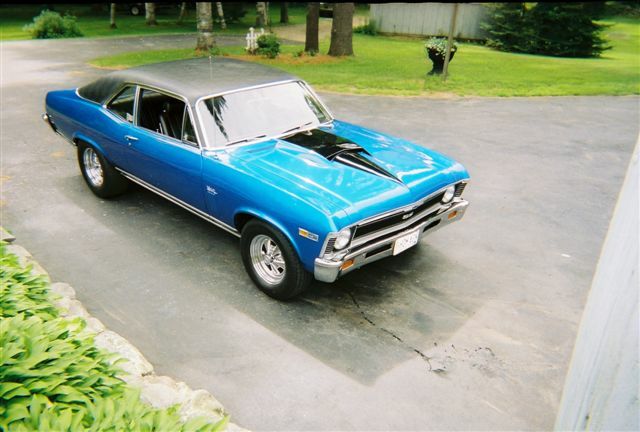 In 1973, a man named Steve Brunette was the new owner of the Nova, but in not even a years time, the original 396 was blown to pieces and a new 427/425 horsepower GM crate engine was stuffed between the fenders. 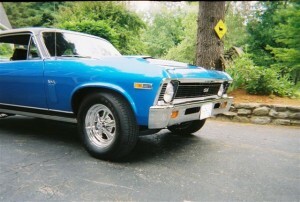 Ken saw his Nova one more time in 1976 after the Nova changed hands yet again. He had heard rumors that the Nova was totaled and wrecked. The years went by and Ken gave up hope that he’d ever see his Nova again, but the memory and desire to own one again never faded. In 2005, the Nova bug bit Ken once again and he decided that it was time to start searching for another 69 to fill the hole in his chest that his first car left behind. 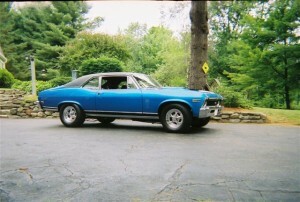 He turned to the internet and magazines where he posted wanted ads for a 1969 big block Nova, but none of the cars really did it for him the same way that his old Nova did. 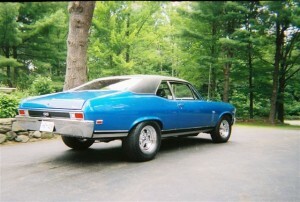 That December, a friend turned him on to a 1970 Nova SS clone with a small block for sale in New Hampshire. The horsepower juices started flowing as Ken pictured stuffing a 502 under the hood and banging gears with a four speed, so he decided to check it out. He ended up declining the deal, but he was still on the hunt undeterred. 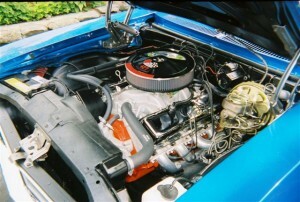 Ken made plans to attend the car show at Lowe’s Motor Speedway in Charlotte, NC the following April. He just kept telling himself to be patient because the right Nova would come along eventually. It was pure fate that would bring him to his Nova destiny. 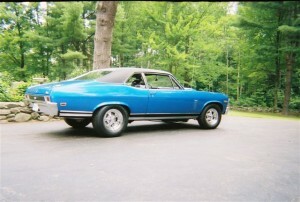 A month before the show, he received a phone call from the same gentleman that had the 1970 Nova for sale over the winter. 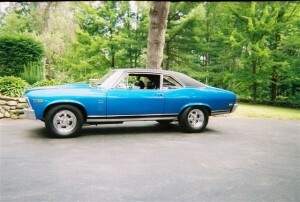 He had since purchased a 1969 Nova SS and he figured that Ken may be interested. Ken made the drive over and to his astonishment, there sat a car that was nearly identical to the one that he had sold 33 years ago! Since Ken didn’t have the VIN number, he wasn’t sure where to look for the next clue. He took inventory of all of the parts while thinking of ways to solve the puzzle. He called the local Department of Motor Vehicles and Cantin Chevrolet in hopes to find some type of records, but they had all been destroyed. Ken realized that his last chance to obtain his original VIN number was to call Steve Brunette (who he had sold it to originally) and hope he had some type of record. While taking inventory on the parts, he noticed a sales invoice with the name Bruce Allen on it. Based on the information he was given, the address and phone number were not correct. Randy informed him that Bruce was difficult to reach because he was in the process of moving. Without many other options, Ken dialed the number and luckily it was the place where Bruce worked. After Ken explained the situation, Bruce invited him to his home a bunch of parts, receipts, and paints that had for the car. After getting information from Bruce, the mystery started to unfold. While Bruce didn’t remember the name of the person that he purchased the car from, he did remember the name of the fourth owner of the car; Mr. Lovejoy. During their conversation, Mr. Lovejoy informed Bruce that his brother had bought the Nova from a guy in Sandford, ME. Ken asked Mr. Lovejoy if he remembered the name of the person that the car was purchased from and after what he seemed like an eternity, he said, “Steve Brunette!” The rest is history. 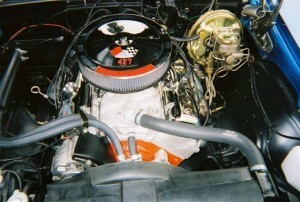 Throughout the following months, Ken was able to locate all six prior owners. They were all thrilled to that their/his Nova was still being taken care of. 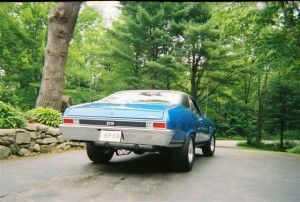 The Nova was never wrecked, but it was involved in a fire at an auto body shop in Kennebunk, ME where the restoration was started but never completed. 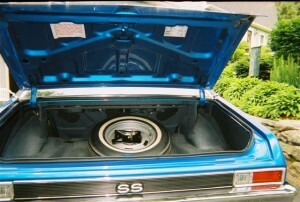 Fortunately, the Nova only received minor water damage. It was moved to several other locations, but it was never really finished. Since 2006, Ken has been disassembling, reconditioning, and/or rebuilding the Nova to its current status. The Nova has seen a lot of things, but with only 48,309 miles on the speedometer, it now can see home once again.